Enige tijd geleden had ik nog oog voor Italiaanse kwaliteitschocolade, tot wanneer ik me niet meer kon vinden in de bestaande "brands" die er op de markt waren. Te veel marketing, te duur (lees prijs/kwaliteit) en bedrijven die toch wel te groot aan het worden waren en dan verkrijgen we vanzelfsprekend niet de artisanale chocolade die ik naar waarde schat. Dus op naar iets nieuws dacht ik, toen ik een mail ontving van Alessandro Cesari and Marco Gruppioni chocolate "makers and founders of Ruket Chocolate." We would like to introduce ourselves to you and tell you about our chocolate. Ruket chocolate is our bean-to-bar chocolate factory. Our small company was born in January 2016 although we have been manufacturing bean-to-bar crafted chocolate for over two years. This period allowed us to become aware of the best cocoa plantations around the globe and to test their beans in our small laboratory and begin a very artisan production process. Our passion leads us to create a product crafted entirely by hand daily. We closely follow every steps of the production from the selection of raw materials to the care for the stonegrounded beans, without neglecting any detail. More over we source our beans from regions all across the world and craft our single origins chocolate bars with few selected natural ingredients. Dus op naar een nieuw avontuur met heerlijke "C’è chi chiama questa modalità di lavorazione “bean to bar” (“dal seme alla tavoletta”). Noi lo chiamiamo semplicemente artigianalità, e siamo convinti che sia ciò che garantisce la differenza quando si parla dell’arte del cioccolato. 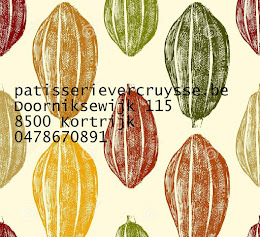 Wilt u deze chocolade ontdekken? Kom dan naar onze winkel of mail ons en we sturen je deze op.